Below you can view all the homes for sale in the Copper Creek subdivision located in Las Vegas Nevada. Listings in Copper Creek are updated daily from data we receive from the Las Vegas multiple listing service. To learn more about any of these homes or to receive custom notifications when a new property is listed for sale in Copper Creek, give us a call at 702-323-5986. W/Master down , Loft, Large Laundry room, W cabinets , Mission Str Rail , Baths incl Cultur Marble, Blinds, Plenty of Storage , 20 ft Backyd MLS#2085985. Realty ONE Group, Inc.
New travertine, new carpeting and flooring, beautiful trees, pomegranate, fig, grapefruit. MLS#2086822. Rock Realty Group. 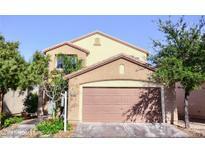 Community Pool And Jacuzzi In Gated Complex MLS#2087690. Compass Realty & Management, L.
Gated community, clubhouse. This is a must see. MLS#2085568. Xtreme Realty. Photos coming soon*** Extended single car garage. Great backyard with desert landscape. MLS#2084707. eXp Realty. All appliances and soft water system included. MLS#2080167. Platinum R.E. Professionals. Additional cabinets added in kitchen with granite countertop, walk in closet, upstairs laundry room, linoleum wood floors and tandum 2 car garage. MLS#2078615. Premier Realty Group. Master bedroom is large w/walk in closet and double sinks. Schedule your apt! MLS#2076699. Urban Nest Realty. Ceramic tile and carpet throughout the house. Move in ready. MLS#2075761. Paradigm Realty. A community pool is part of the Copper Creek Estates Homeowners Association, Inc. MLS#2076299. Opendoor Brokerage LLC. A community pool is part of the Copper Creek Homeowners Association, Inc. MLS#2074980. Opendoor Brokerage LLC. Do Not forget to enjoy the community amenities such as pool, hot tub, and picnic areas MLS#2074347. Keller Williams Southern Nevada. Beautiful Tile And Carpet Floors Throughout, Upgrated Countertops, Cabinets, 9 Foot Ceilings, Large Backyard And Much Much More! ! MLS#2073234. Simply Vegas. Solar panels & smart thermostat for energy efficiency. MLS#2072861. Coldwell Banker Premier. Community w/exercise room, pool & spa, playground & basketball court. MLS#2073138. GK Properties. Community amenities include a pool & spa, exercise room, clubhouse, park & basketball court! MLS#2071251. Realty ONE Group, Inc.
Master Bedroom downstairs, Large Loft upstairs, HOA Includes, Community pool, spa, playground, splash-pad park and walking trail, front Landscape care and courtesy patrol. MLS#2071859. Keller Williams Market Place I. Covered Patio With Desert Landscaping Equals Less Maintenance. MLS#2069984. Realty ONE Group, Inc.
A community pool is part of the Copper Creek Estates Homeowners Association. MLS#2068285. Opendoor Brokerage LLC. The home is also located near easily accessible highways, shopping and entertainment. MLS#2068682. LIFE Realty. Please Come View!ask About Our Rent To Own Lease Option Program MLS#2067859. Turn Key Property Solutions. Gated security and a community pool are part of the Copper Creek HOA. MLS#2063264. Opendoor Brokerage LLC. Gated security is part of the Copper Creek Estates HOA. MLS#2060151. Opendoor Brokerage LLC. This has a front porch where you can enjoy sunrises and sunsets and a floorpan that has smart use of each square footage for a roomier feel. MLS#2058898. Realty ONE Group, Inc.
sit out porch in the front , Community features a guard gated entry , patrolled security , pool/spa , basketball courts & clubhouse . Granite Counter Tops . MLS#2056225. United Realty Group.